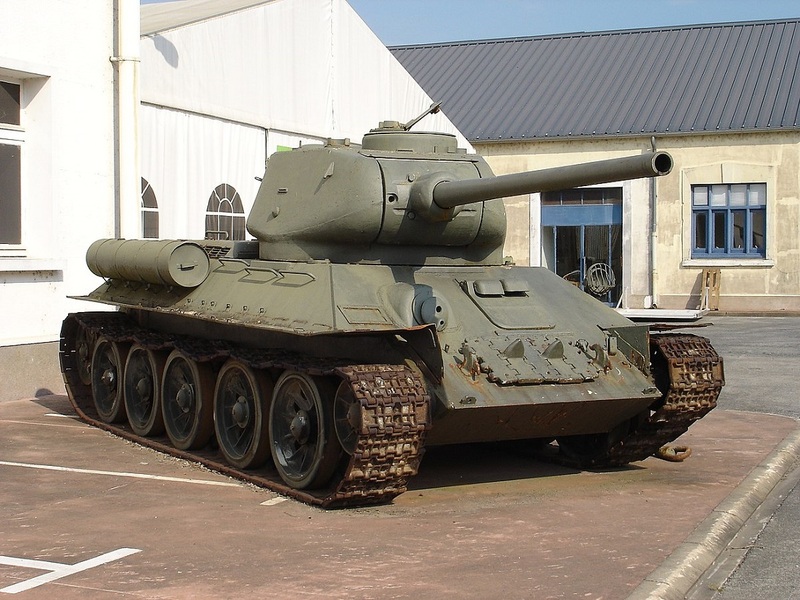 A T-34-85 tank on display at the Musée des Blindés* in Saumur, April 2007. So Sarge, we're on about tanks again? We thought you were in the Air Force. Well, yes, yes I was, but at one point in my callow youth I had the thought of being a tanker. Eyes were too bad to be a pilot, didn't see it stopping me from driving a tank. 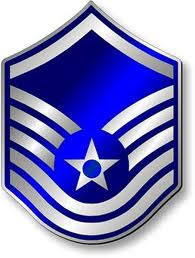 One thing led to another, had an Army recruiter jerk my chain once too often, so to spite him, I joined the Air Force. Hey, it wasn't exactly spur of the moment, I did think about it for a couple of days. Twenty-four years (and a few months, I had to go in delayed enlistment to get the job I wanted - working the F-4 Phantom) I retired, hung up the blue suit and thought myself wise to have made the choice I did. Nicholas Moran, an Army National Guard officer and lead historian at the company behind the "World of Tanks" gaming franchise, gives his YouTube viewers an inside look at many of the real-world tanks that appear in the game. The in-house historian for the gaming company responsible for “World of Tanks” brings more than two decades of military experience to the job, including 17 years and counting in the U.S. Army National Guard. But when the games move from tanks to planes ― a second version of Wargaming’s “World of Warplanes” launched late last year, full of updates ― Nicholas “The Chieftain” Moran had an ace up his sleeve. Pilot and tanker? I knew there was a reason I liked this guy. At any rate, you can read more about Major Moran here, if you do watch the two videos of his that I've included (from his YouTube channel which is where I spent a lot of time Friday), you might notice that the good major hails from the Emerald Isle, ya know, Ireland. Hence the accent. The title of today's post comes from a remark Major Moran made near the end of the second video. The tank isn't really noted for its crew comforts nor for its maintainability. The Soviets planned on these beasts lasting two, maybe three battles. Then the surviving crew members would draw a new tank. Of which the Russians built around 35,000 of this model alone. As the good major says, the tank wasn't designed with the crew in mind but "purely with the needs of the State in mind." Ah, the "beauties" of socialism. Without further ado, I yield the floor to Major Moran. Always enjoyed the Major's videos when I had an account at WOT. Informative to hear from someone who has "been there, done that." Good posting Sarge, more leads to run down. THE T-34 epitomizes the Soviet/Russian psyche to a ....er.... excuse please ..... T. They built what was needed to get a job done. A real "no frills" tank. Pretty useful though. “Needs of the State” what a great philosophy..... If you’re josef stalin or nicky maduro. I think there are numerous vermin, who usually append a (d) after that name, who aspire to that level of philosophical application. The rest of the populace? Not so much. Heck you don't even have to read history to learn this. Google Venezuela. Anytime the needs of the state are stronger than the needs of the citizenry (or when the citizens become subjects) it is never a good time for the populace. 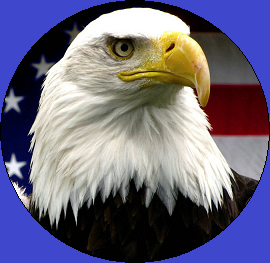 Witness us (the USA) now, as we are transitioning from citizens (and armed citizens at that) to subjects in many leftist controlled states. How soon before our glorious leaders start making our weapons manufactures stop spending time on fit and finish that saves lives and limbs of the operators in order to save money that will go in their (the GLs') pockets? I fear too soon, if any of the potential GLs get elected. juvat - Socialism is the "new" Communism. In reality they've always been close cousins. Beans - The foolish like to be led. Ironic that the Chieftains are an Irish musical group, eh? The Chieftain was also the main battle tank of the British Army in the '60s, '70s, and '80s. I am not knowledgeable enough to read this work with a critical eye (I'm reading it to learn), but V.D. Hanson has a WHOLE chapter on tanks (and artillery) in his latest, "The Second World Wars." 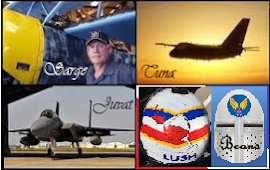 He spends a great deal of time exploring the path that all land contestants followed toward discovery and development of the optimum compromises among offensive weaponry, effective defensive armor, speed, fuel consumption (more shielding, more consumption, more need for constant supply, etc.) Oh, and cost per, and time to build. Yes, tanks were designed to optimize their stated function. The much maligned M-4 Sherman was designed as an infantry support vehicle, not a tank-dueller. We (the USA) designed tank destroyers to use against enemy tanks. Thus the M-4 wasn't designed to go toe-to-toe with enemy vehicles, thus the shorter 75 with a good HE round was perfectly acceptable. By the way, Soviet crews loved their Shermans much more than they loved their T-34s, from what I've read. Things worked right the first time, crew comfort was to the maximum (especially compared to the soviet stuff) and there were few to no sharp edges anywhere in or on the tanks, with some common locations even being padded! CC - There are entire volumes written on those topics. I'd like to read Hanson's take on that. He's a pretty smart guy. Beans - That short 75 was adequate until the Sherman got into combat. Yes, American theory was that the tank wasn't meant for tank to tank combat. Pretty squirrelly theory if you ask me. Don't forget the Sherman Firefly that mounted the excellent British 17pdr anti tank gun in an adapted turret, It did the job. Which predated the Israeli 90 mm. I am working through them now. He knows his stuff! Oh cool I was wondering about that VDH book. I’ll probably take a read later. The T-34 was designed to fit the smaller frames of the malnourished Soviets. So, of course, during the height of the T-34 panic, Otto Skoreny, SS jerk and overall turd wrangler, who was 6'4", went and stole one. The engines were so rough, they actually smoothed out in running after the first 30 hours or so, as the engines ground themselves. It worked. And the men running it had to change shapes to use it effectively. What a great analogy of socialism. Reminds me of the underground machine scenes of the movie "Metropolis." I like tanks because I hate walking. Same reason I like horses, cars, almost everything designed or modified to carry people. In warfare they are a necessary evil. And I also wanted to be a tanker, but thanks to my allergies and physical body at 18 (skinny and weak) that ruled that right out. Plus it was in the swan-song days of the M-60 and I've read too many (now disproven) articles and stories about how horrible that tank was. Then 1980 came and the M-1 slowly started to creep into the US inventory. Never heard that Skorzeny story (about the T-34). Why would they need to send someone to capture one? There were plenty of them just lying about. Bogged down, knocked out, broken down, out of gas - it was a solid tank, not a wonder weapon. In theory riding beats walking. But as many have learned over the years, horses and vehicles require extra care. A lot of extra care, neglect it and you're walking with the infantry. It was during the first intro of the T-34, when state of the art was the Pzkfg III with the long 50mm. The whole episode was one of the basis behind the design of the Panther and Konistiger hulls. The Germans were unhappy with the KV series. But those slow beasts could be encircled and either bypassed or shot in the bum. The more nimble and cheaper T-34s, originally with a mid-sized 76mm, later the 85mm, was a shock to Germans. Yes, there were many available after they were introduced, but most recovered were somewhat damaged or right up cooked. Skorzeny stole an almost brand new from a depot and drove it back to German lines. Nasty person, but a real badass. Any references for that story? Sounds apocryphal to say the least. I'm a bit of a skeptic when it comes to Skorzeny stories. "The Germans were unhappy with the KV series." Are you confused, did you mean to write ' Russians '? Your next sentence suggest that the Germans would be happy with the KV. I would guess that the Germans were "unhappy" with the KV series because they were very resistant to the standard German anti-tank round. I'm still waiting on sources for the great Skorzeny tank heist, anybody else ever hear that story? On the other hand, how does that really differ from JFK's famous, "Ask not what your country can do for you, ask what you can do for your country?" Not a bad point, but the Soviets never asked. Well, IMHO, JFK never shot anyone for not asking "what you can do for your country". Stalin and Mao at least offered them a choice, Shooting or Starvation. Maduro seems to be stuck on the starvation option only. But, it ain't over yet down there. There seems to be hope. Oh great, now it's tanks I have to learn a little more about. I am putting on the list right after instapot cooking and C++ programming. The folks that had to (got to - depending on zeal, I guess) were smaller. Everyone was smaller then. Generations have gone by wherein we have all grown taller on average and certainly our girth (thinking of crawling out that hatch) has increased. Cockpits are fairly tight (A-4, F-102), but you can look out. I could NEVER be a tank crewman. I will have a greater appreciation of movies with tank sequences in them now. Tanks Sarge. Folks back then were a bit smaller. If you look at some of the WW II registration cards on Fold3, in general the weights and heights (on the reverse sides) are practically midget compared to today's men. ...more like present-day women's wts & hts. True, I hadn't thought of it that way, but you're right. All of my, and my sister's, generation were taller than our parents. All my friends were taller than they're parents. All the parents (the men) were WWII vets, and both parents had grown up during The Great Depression. After WWII, our parents had the ability and means to give us better and more food, and better medical care. Definitely drjim, better, and more varied, diet helped a lot. My grandparents were smaller than my parents, I'm slightly taller than my parents. Genetics plays a role as well. Yes, better medical care as well. I loved flying in the T-34. Oh, you're talking about the T-34 Tank. Tanks? Takes a little bit of crazy to be on a tanker crew. The Abrams is far faster than its predecessors, but I would still prefer the speed and maneuverability of a jet. Still tangentially on target, as it involves a T-34: Sarge, have you seen "White Tiger"? It's a Russian movie, so you have to get somebody with vision to read you the subtitles (sorry--couldn't help it, & it's in fun), but I like it. For all I know, I may have originally been turned on to "White Tiger" at this very site. Yes, I've seen White Tiger, very good. So I guess you speak/understand Russian also. Я немного понимаю. Пару слов, здесь и там. I have an "ear" for languages. I enjoyed the article and I did see the "White Tiger" it is on youtube, with subtitles. Whoever did the movie did pains to get the kitting right, the only reason they didn't use a "King Tiger" was that the one they tried to build didn't work, so they had to modify a JS-3 to fit the role of the beast. I did notice how nice the commissar was, the guy that worked with Vitaly. 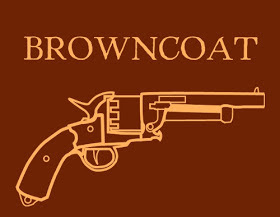 Usually they ain't nice and shoot you for disobeying orders. I had blogged a bit about that movie. Yeah, typically the Commissar was not your friend. OK, I am late as usual on this. Regarding the size of folks back in WWII days, they certainly didn't have the bulk a lot of us have today. Some of it was genetics but most was nutrition - just not that many calories floating about during the first half of the 20th century, especially in the years immediately prior to WWII. I remember seeing a film from the airfield in Indiana where they did a lot of testing of captured German and Japanese airplanes - was evidently an airshow in the late 40's, and they showed troops marching in formation and many shots of the crowd of attendees, and I was thinking that no one was overweight in the least bit. AS to the size of tankers, dad was 6'4" tall and somehow curled up inside the turret of a Sherman - course he was fairly trim and wiry, weighing probably only about 180 lbs back in those days. And wouldn't it have been grand to be at that airshow and see all those planes?? It was called Freeman Army Airfield - and I just had a thought, Sarge - did you already do a post on it and that's how I learned of it?? Tom - Then, as now, you will get the odd individual who is taller than his/her peers, like you say, genetics always gets a vote. And no, there weren't a lot of fat people back then. Commander's position in a Sherman was pretty roomy compared to some vehicles. Lots of room in the Sherman in general because of the size of the engine. Tall tank, roomier inside. Of course, bigger target as well. There are always trade-offs. I would've loved to have seen that air show, first I've heard of it. Oh yeah, thanks for the link. Now it clicks, that's where they evaluated enemy aircraft. Have you been to the museum there?